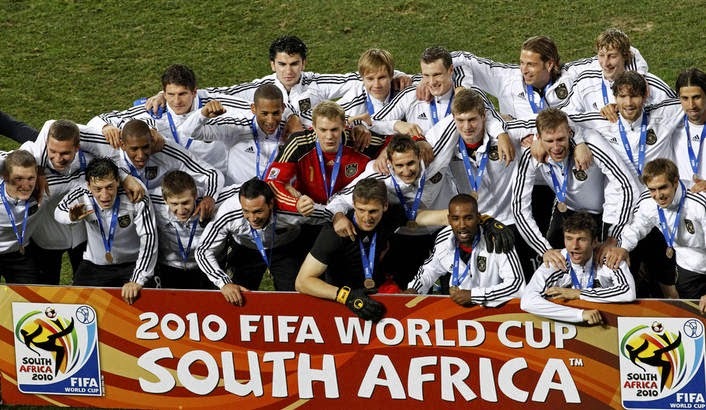 In its 19 editions (not including this year), the FIFA World Cup has held the match for bronze medal in all but two tournaments. 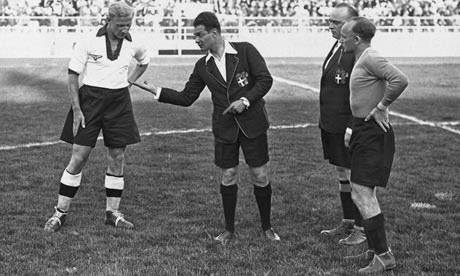 In the inaugural championship in Uruguay 1930 the match simply didn’t exist, and in 1950 in Brazil it wasn’t played due to the fact that the final stage was a group consisting of 4 teams, with the winner of the group declared World Cup champion. But on the 17 other occasions the match that I like to refer to as the “who gives a crap, bring on the finals” match, was played out every time. Although I don’t really care for the outcome of this particular fixture every four years, I do watch it. See, when two teams are relaxed, under no pressure to win and have an opportunity to play the way they would in the yard, it does create on most occasions a beautiful, open brand of football that is rarely seen in fixtures of higher value. Arjen Robben has already gone on record after his side’s loss to Argentina, saying that he does not care for the 3rd place match, and all of his efforts were directed at winning the cup. With that in mind, and the 2014 World Cup 3rd place match just a day away, I look at the previous 3rd place World Cup meetings to try and see if it’s a match worth watching for the neutral fan. Since 1934 the goal difference between 3rd place matches and World Cup final matches is only 7 goals, that being in favor of the bronze medal match with 61 goals scored in World Cup finals, and 68 goals scored in the “other” one. In the past 20 years however (including the 1994 World Cup), the 3rd place match has provided us with a total of 21 goals, to the miserable 8 goals in the finals of the past five World Cup tournaments. Sure we’ve seen some high scoring finals, but none with 4 or more goals since the 1986 World Cup when Argentina defeated the West Germans 3-2. In the 3rd place matches in the past 20 years we watched Sweden run riot against the Bulgarians in their 4-0 victory in 1994, the Turks taking out hosts South Korea in a 3-2 thriller in 2002, the Germans beating Portugal 3-1 in 2006 and then again in the 3rd place match Germany came out on the winning end with a 3-2 defeat of Uruguay. There is no doubt that as far as goals are concerned, chances are we will see more in the 3rd place match. France and West Germany playing in what would become the highest World Cup 3rd place match to day. Of course some players would dismiss the importance of a bronze medal match when giving an interview directly after a semi-finals exit. But for some fans and even players, the 3rd place match is a great opportunity to leave the tournament on a high note when otherwise it would be a very bitter ending to a good run. Without having to look too far back, this year’s 3rd place match is a great opportunity for the host nation Brazil to apologize to their fans for their dismal performance in the semi-finals against Germany, and although there is no way to earase their 7-1 loss, they can regain some respect with a solid win against the Dutch. For others like Austria in 1954, Chile in 1962, Portugal in 1966, Poland in 1974, Sweden in 1994 and Croatia in 1998, it could be a once in a lifetime chance to win an unlikely bronze medal in a tournament that just a month before seemed to be too impossible for these nations to reach any kind of success in. Obviously, this year’s 3rd place contenders have had better success in years past, but for some of the smaller nations this match could be the most important in their national team’s history. 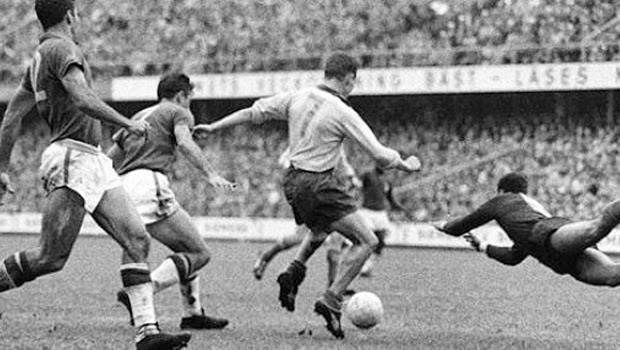 In 1962 hosts Chile defeated Yugoslavia to win the bronze medal and bring joy to the home team supporters with their highest World Cup finish to date. 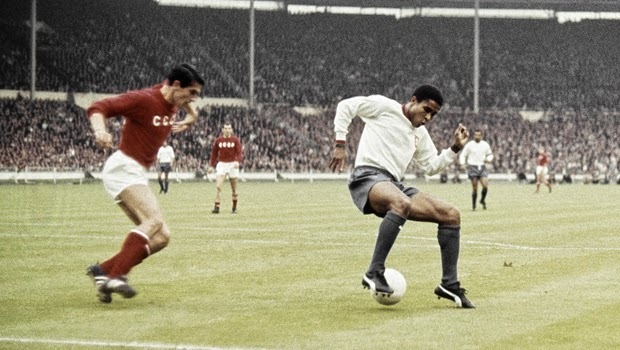 In 1966 the world watched Eusebio reach his highest peak in the World Cup tournament with his record 9th goal of the tournament in their 2-1 3rd place win over the Soviets. In 1974, Poland defeated three-time and defending World Cup champions Brazil to claim 3rd place. In 1990 it was the tournament hosts again, when Italy finished off the tournament on their home soil on a high note by claiming the 3rd place finish against England. In 1998 Davor Šuker and his Croatian side shocked the Netherlands, claiming third place with their 2-1 win. And in 2002 we watched another unlikely 3rd place match between Turkey and South Korea finish in an exciting 3-2 final for the Turks’ best finish in their World Cup history. The third place match carries very little importance in the eyes of the neutral fan. But there is always a good chance that this match can provide us with entertainment value that will surpass that of the big final match. Watch it or don’t, it’s there, and if nothing else it’s another great excuse to get out of doing house chores.